It's easy to think, from moment to moment, that not much has happened recently. A moment of reflection disputes that notion! I did a lot in 2015 and I want to remember it. So here goes this post. Maybe you'll find it interesting too. I've participated in game jams every year since 2013, mostly focusing on the Seven Day Roguelike Challenge. 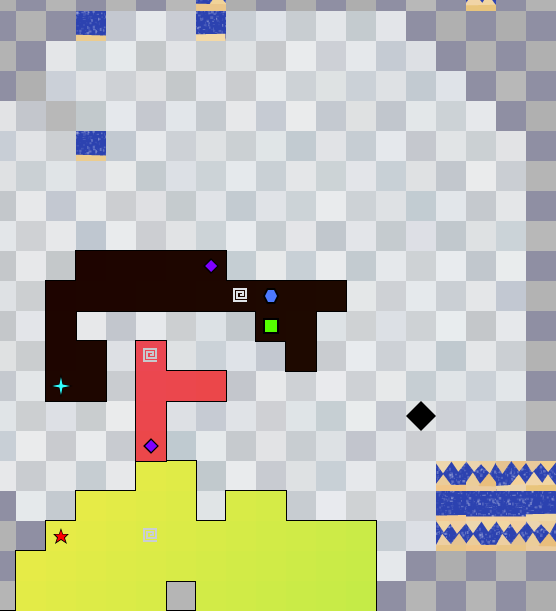 This year I wrote Dumuzid, a weird little roguelike about absorbing your enemies and become huge. Over a thousand people have played Dumuzid and it was well received (tied for 4th place out of 128 games in the review process). Shortly after 7DRL, I drove to Atlanta for the first IRDC (International Roguelike Development Conference) to be held in the states. I had an absolute blast and did a little write up here. Finally, I spent most of 2015 attempting to get my game, Golden Krone Hotel, approved on Steam Greenlight. At times, I was very pessimistic about my chances. There were tons of developers claiming that "they let anything in" or that the whole process is a cakewalk. It sure didn't feel like that when my campaign was getting barely a vote a day for months at a time. But 194 days after I launched the campaign, it was greenlit! This is a big deal to me. I never dreamed I would be able to put a game on Steam. Now I just have to finish the damn game. The plan is to launch into early access sometime in 2016. In December 2015, I completed a Master of Computer Science degree that I've been pursuing one course at a time for 4 and a half years. The icing on the cake is I somehow managed to keep my 4.0. Artificial Intelligence My first course in Fall 2011. A great course and a great textbook. It inspired me to participate in several AI challenges. Performance Modeling (Markov Chains, Queueing theory): The hardest course I've ever taken by far, but I stuck with it. It assumed a whole lot of advanced probability knowledge that I don't recall learning anywhere. I took it over the summer too, so the pace was increased. I think this was the only time in grad school where the mean exam scores were in the 60s. Human Computer Interaction Very interesting course and I made a cool little prototype for a bizarre calendar app. Advanced Data Structures/Advanced Algorithms Two courses with huge breadth and excellent professors. The material was all very interesting (B-trees, bloom filters, etc. ), but I find it somewhat funny that most of the advanced algorithms we covered were invented in the 1970s. I wrote a post about my winnings. I put together a rather unique split-screen video covering several rounds, so you can see the game from both sides. Honestly, most of the intrigue in the game was inspired by a single player, JUDGE DOORMAN. That's where I got most of my money and where the vast majority of Cordial Minuet's in game economy came from (he put in over $10,000). It's fitting that, on one of the last days of 2015, DOORMAN entered into a gentleman's agreement to play an opponent until one of their accounts was emptied. DOORMAN lost. Her Story came out and I was absolutely fascinated by it. Mushroom 11 was pretty cool, but incredibly difficult. The art direction and setting were really top notch. Regarding roguelikes: I played Caves of Qud and Sproggiwood (both by the same developer) for the first time. I highly recommend both. I also ascended for the second time in DCSS after 8 years of play. And I put way too much time into League of Legends. I'm really bad at the game, but I just wanted to climb out of Bronze (the lowest tier). I practiced, played new champs, and got up to Silver II (a stone's throw from Gold!). I typically don't go out of my way to see live music (having a bit of social anxiety), but I stepped out of character and went to a 3-day music festival called Hopscotch. I hadn't heard of hardly any of the bands there, but rather enjoyed Bully, Pusha T, Father, and Boulevards. My wife and I went to Las Vegas for the first time! We went to see the Hoover Dam, got the Fat Burger, rode on the world's tallest ferris wheel, and my wife even painted with dolphins (I had no idea that was a thing). I don't typically dress up for Halloween, but when I do I take it very seriously. 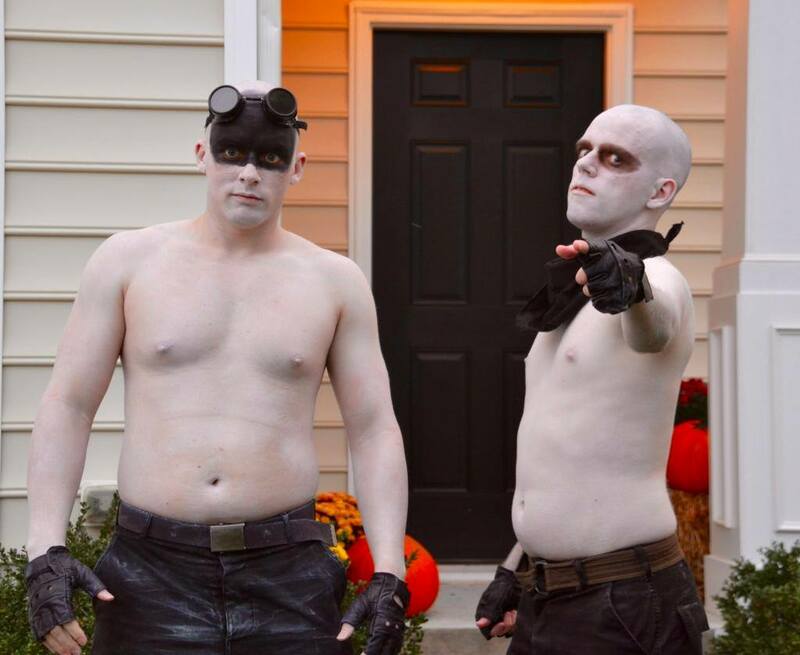 I shaved my head (not the first time I've done so for a costume) and spent most of October on a 1700 calorie diet. All so I could be shiny and chrome for one night. Definitely worth it. On that note, Mad Max Fury Road was easily the best movie I saw in 2015. What a year, what a lovely year!